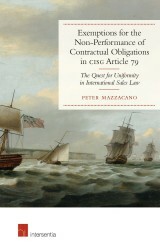 Peter Mazzacano, B.A., M.L.A., M.B.A., LL.M., Ph.D., is the Founder and Editor of CISG Canada, which is dedicated to Canadian jurisprudence on the UN International Sale of Goods Convention. He taught International Business Law at Ryerson University and served as a Visiting Professor and Adjunct Professor at Osgoode Hall Law School, York University, where he taught Legal Process, Civil Procedure, and International Dispute Resolution. Peter currently works in the Legal Department at Orlando Corporation, near Toronto, Canada, and continues to teach Business Law courses at the University of Guelph and Sheridan College.